The idea of having cheat codes in video games has been around since the beginning. It wasn’t until the late ‘80s/early ’90s that the idea of having these hidden ways of getting through games started to become more popular — Some examples would be the Konami Code and Game Genie. Last decade, we started to see games that allowed players to cheat started to return…but in a different format. This practice began with allowing players to literally skip through grinding or levels in a game. In World of Warcraft, they added in option for players to instantly boost their character to level 90 originally (and now level 110). During the last decade, we saw some games offer players the option to buy a level skip, or unlock cheats to make the game easier. With the latest wave of games as a service-focused titles, developers have been doing more covert ways of allowing players to cheat through the game. 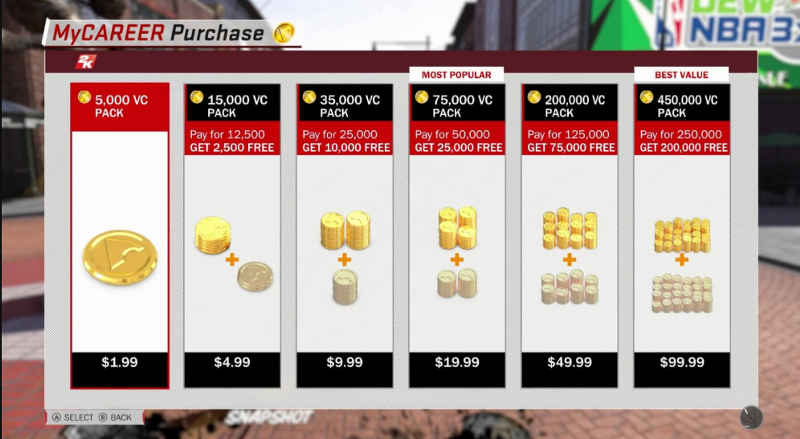 For any title that has in-game resources for the player to collect, the option to purchase them outright has become a popular way for developers to have microtransactions in their game. We’re not going to talk about mobile/free to play titles for today, as that is designed differently. For AAA titles like Call of Duty, Destiny, NBA 2K19, and so on, these games allow players to both earn in-game currency, or spend money to get them faster. 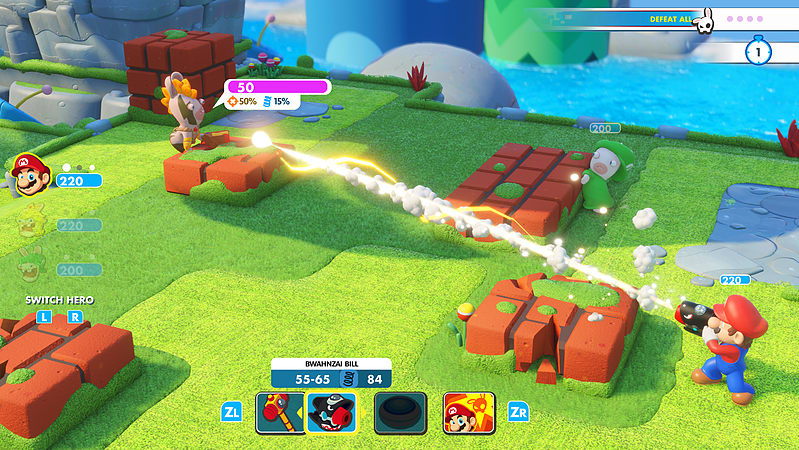 With these games, they feature a multiplayer component, meaning that spending additional money allows players to get access to more elements before other players. Going back to the top of this post with Devil May Cry 5, this is an example of a singleplayer game offering players the ability to speed through the progression curve by spending real money (with the option also added in the special edition of Devil May Cry 4). And that part: “Give people as an option,” is a common defense whenever a game offers purchasable skips or any way to speed through playing the game. It’s easy to think that the developer is doing this for good intentions, but this is where the argument breaks down. Implementing the ability for people to spend money to make a game easier or quicker is akin to the super villain plot of poisoning a town to then sell them the cure. The point of good game design is not having your game be focused on grinding or slowed progression to begin with. Another problem is if the game is designed to be frustrating or difficult to play without those added bonuses. People have complained about EA and 2K with the UFC and NBA franchises respectively and how they felt their characters started out so weak in order to make the microtransactions seem appealing. And that’s the dichotomy whenever we have a game allow people to spend money to speed through it. If your game was balanced properly, people wouldn’t need to purchase anything, so in order to make these purchases work, the game has to be intentionally skewed against the player. Again, we can point to examples like For Honor, Battlefront 2, and Shadow of War, as examples of games that intentionally slowed down or limited progression to make the microtransactions seem reasonable. In today’s market, the use of loot boxes and microtransactions continues to be looked at negatively by core gamers. For the titles that make use of them, it doesn’t take long for people to figure out just what the catch is in terms of progress and report back for everyone else. There are consumers who refuse to take part in this practice, and no matter how balanced the game may seem, they will not support titles with purchasable skips. Thanks to the more tech-savvy consumers out there, it’s gotten a lot easier to data mine games to figure out just how much the game is being steered by the microtransactions. Poisoning the well like this is an easy way to shoot yourself in the foot, but there is one point we need to finish up on, as defenders may bring it out. For years now, Nintendo has been allowing players to skip through hard parts of their games. Many of their major franchises now include either an item that appears if someone dies too many times, or a character explicitly designed around “easy mode” play. As I said, I’m sure defenders will try and equate Nintendo’s design to the use of having paid skips, but there are a few big differences. First, is that the game is not explicitly designed around having to use the skip options. Skilled players may never see the system used in a Mario game (I’ve only seen the option come up once in Super Mario Galaxy 2). The second and more obvious point is that it’s free to use. The player can make use of these skips as much or as little as they want; without the game actively rewarding or punishing them for doing so. In my mind, whenever I see a game try to get away with selling cheats to the player, I see it as the developer giving up on trying to balance their experience. You shouldn’t need to “give the player options,” when it comes to your gameplay. No game should have intentionally designed pain points, and the very fact that a game has microtransaction skips is proof that the developer knows what those problems are. Balancing your game for multiple skill levels is an important part of being a game designer; not figuring out how to make it frustrating enough to get people to spend money.